Peeps are so popular here and I just don't get it. Ok, small admission here, but while I live in San Francisco, I grew up in Toronto, Canada. 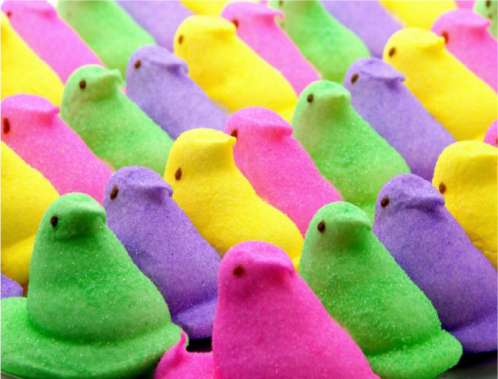 As far as I remember I didn't see a peep until I was at least a teenager, and they never really made any headway into my candy consumption. Perhaps it's just because I didn't grow up with them, but I do not understand the obsession some people have. I get that they look cool and have some great colors. But people just go nuts over peeps! I always felt like the odd combination of cheap marshmallow and sugar was kind of... meh. But its not about me. Do you love Peeps? If so tell me why in the comments!